The 220 mile New England National Scenic Trail in southern New England consists of the Metacomet-Monadnock Trail, Mattabesett Trail and the Metacomet Trail and is better known as the Triple-M Trail. The network starts at Guilford, Connecticut and goes north along the Metacomet Ridge and continues through the Pioneer Valley of Massachusetts to the New Hampshire state line. The Metacomet-Monadnock Trail continues on its own to Mount Monadnock east of Keene NH. The National Park Service was authorized by Congress in 2000 to pursue creation of the combined New England National Scenic Trail, and it was officially designated in 2009. (CFPA) and the Appalachian Mountain Club (AMC) Berkshire Chapter. About half of the trail is on private land. As part of the designation, the US Secretary of the Interior is instructed to establish a system for ongoing communication with landowners, create a “liability protection fund” to pay legal costs for landowners, and maintain existing landowner uses and rights. No segment of the Trail shall be recognized as such against the wishes of the landowner. A Trail Stewardship Council is being assembled to guide implementation of the Management Blueprint. 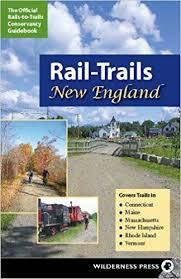 More than 100 public roads cross the New England Trail, and there are trailhead parking areas at or near many of these crossings.Detailed Trail Maps are available from Appalachian Mountain Club and Connecticut Forest & Park Association. For Massachusetts maps, visit the AMC Berkshire Chapter; for Connecticut, visit the CFPA Bookstore. Hiking Metacomet-Monadnock Trail Printer-friendly version. Portions of the combined trails are suitable for mountain biking, but owners have the discretion to limit use.